You go back to the time of queens and beheading for crimes. 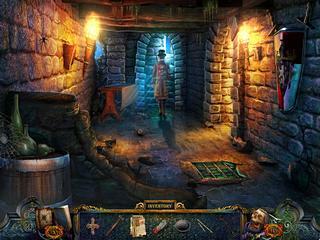 Hidden Mysteries: Royal Family Secrets is an interesting hidden object puzzle adventure game with a great look and sounds. The game features some really neat production values. You desparately need to find the evidence of your innocence. You are going to play as the queen's best maiden who has been accused of stealing the royal brooch. And having stolen it, you also released some evil spirits. Anyways, you desparately need to find the evidence of your innocence and deal with the dangerous spirits. You can do either this or be beheaded. Those who stick to this particular genre of the casual games will recognize that the story is quite unusual and intriguing too. The graphics and sounds that tell you this story are just as great. The music is not stellar but it is still very appropriate. There are two game modes - Advanced and Casual - according to the difficulty level that you need. The puzzles that you get to play are mostly not that challenging to use a walkthrough or get stuck with them for a long time. If you want to make them more challenging, you can turn off the instructions and try and figure them out yourself. 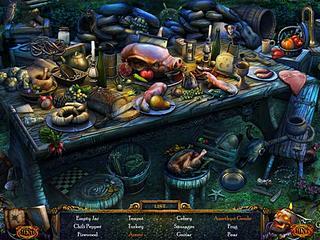 The hidden object scenes recuire you to interact in order to complete those levels. The game is not a typical liniar type. Sometimes, some new areas open up before you and you have to decide where you want to go. The game really have a lot to give for the price asked. Many will be pleased with the content, but the free trial version is still a good way to see if it's worth the money. This is Hidden Mysteries: Royal Family Secrets review. Download this game here.